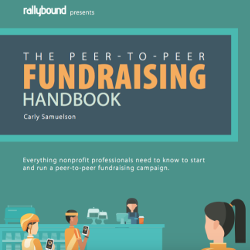 In recent years P2P fundraising has grown increasingly complex, largely in part to innovative and creative fundraisers that are constantly pushing the envelope and thinking of new ways to fundraiser for your cause. With this in mind, Rallybound now supports the creation of one or multiple Event Listings as part of a personal fundraising page for individuals or teams. Event Listings are an evolution of fundraising that is intended to increase team spirit and togetherness. It begins with an individual, or team, who decides to fundraise for a nonprofit and creates a personal page with a unique URL to share with friends and family. Once a fundraiser has an idea, they will need to navigate to the appropriate “Events” section in their Fundraiser Dashboard. Enter the chosen name of the event in the search box. Click the “CREATE NEW” text that appears to the far right of the search box. Enter event details in the pop-up that appears. Click the blue “Add” button. Team captains can create a team Event Listing in the same way an individual Event Listing would be created. The option to create a team event listing will only appear for team captains but once created it will appear on the team page as well as each team member’s page. 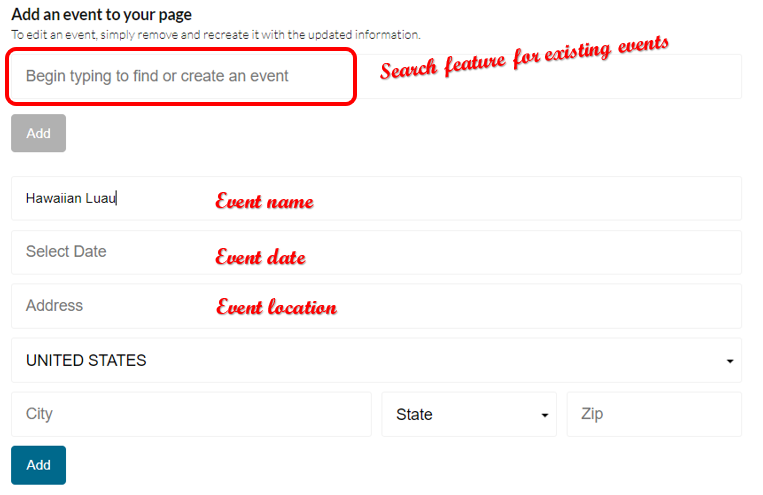 If a personal or team fundraising page is associated with an Event Listing, any donation made to that fundraiser or team will be automatically allocated to the associated Event Listing. If a fundraiser has multiple events, the donation will be allocated to the soonest upcoming Event Listing. This detail can be viewed through the donation report, which will display which event a donation is allocated to, or the “Causes” report, which will show how much money in total was allocated to an Event Listing. An administrator can also pull up a donation individually to view, or modify, the allocation.